Weber Shandwick was the incumbent on the account, which will change hands at the end of the month. BOSTON: Daily fantasy sports website DraftKings has picked Taylor as its PR AOR, effective January 2. DraftKings director of global communications Sabrina Macias compiled and reached out to a shortlist of agencies at the beginning of November and "put them through their paces," said the company’s SVP of communications, Jason Alderman. The company informed Taylor it had won the account last week. "It is hard managing one cycle or season of a sport, and we have 10 sports we offer plus multiple leagues within sports," said Macias. "So we are looking for Taylor to use their deep bench and understanding of the sports space and the influx of moments across a variety of different sports we offer in the U.S., Canada, and internationally." Alderman added that DraftKings is focused on "charging up its growth" by targeting sports media locally, nationally, and internationally. "We haven’t gone very deep in local sports markets before, which means we have a lot of growth [potential] there to highlight our content, contests, and games," he said. "Taylor can help us with non-sports-facing consumers and when we have needs on more traditional corporate comms." The incumbent on the account was Weber Shandwick, which DraftKings has been working with since July 2016. The relationship will end on December 31. "Weber has done terrific work for us, but DraftKings has changed a lot in the last two years as a company and our communications needs have changed," said Alderman. He explained that DraftKings was much smaller and going through the "regulatory and legislative gauntlet" when it began working with DraftKings. It has since gotten legislation passed in nearly 20 states. "Now we are focused on fueling our growth," said Alderman. "It was the right time to reevaluate our comms agency. Weber was the perfect agency for us [last summer] and Taylor is the perfect agency for us today." Ryan Mucatel, a managing partner at Taylor, will oversee the strategic direction of the account. Taylor account supervisor Dave Finn will serve as the day-to-day lead for the DraftKings communications team. Budget information was not disclosed. Representatives from Weber declined comment. DraftKings’ in-house communications team is made up of seven people split between offices in Boston and New York. Recent hires include Aliza Solc, PR manager; and Parker Winslow, senior media relations associate. The company is seeking a digital strategist and grassroots director. "We are growing our skills and our team internally," said Alderman. In July, DraftKings and FanDuel, another daily fantasy sports site, called off their merger after the Federal Trade Commission said that it would move to halt the deal. The combined company would have controlled more than 90% of the daily fantasy sports market, according to Reuters. "When we decided to call that off, that was the end of that discussion," said Alderman. "We have gone back to being fierce competitors and completely unaligned." Since DraftKings and FanDuel announced their intent to merge last fall, DraftKings has "grown dramatically," he added. This year, DraftKings has expanded into four countries, added basketball streaming, and partnered with Amazon Alexa and TuneIn, a streaming audio network. DraftKings, which launched in 2012, has more than 9 million registered customers globally. 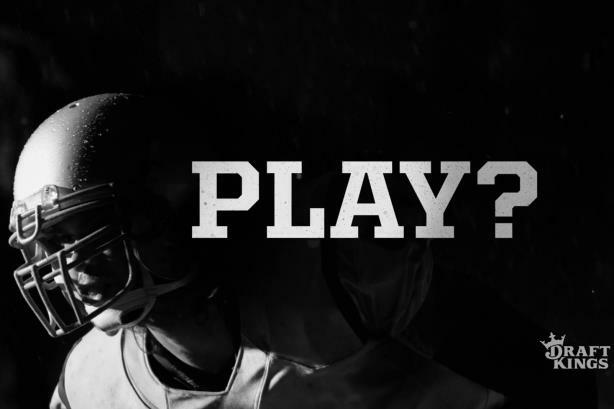 Your call: Did DraftKings and FanDuel do too much marketing?